Jobs these days are incredibly difficult to find. Perhaps that's why many people are now looking into making jobs for themselves; self-employment in other words. Indeed, you'd be lucky to even find a decent paying office job these days. And even luckier if you could get one in your home city near your own home. That's more or less a thing of the past now. And the reason for that is, competition has grown up, while the number of jobs hasn't. Also, there's a somewhat lack of efficiency in the process of finding a job. Not everyone gets a job they are best suited for. The solution then, is a good platform that can connect all the relevant people. Fortunately, there are many, but here, we will talk about the best 10 such job websites worldwide. These websites will help you find a job, and make a better living, online or otherwise. Before starting, I want to point out one thing. There are some freelancing we didn't mention here because we covered them in yesterday's post about the top 10 freelancing websites. These websites are a little different from freelancing because most of them find real world jobs for you, like a Sales Managing job or Software Developer's job etc, although there might be some online freelancing jobs involved too. If you'd prefer freelancing entirely, then go for the link to the top freelancing websites given above. Indeed is a great job searching site indeed! Or more precisely, it's a job search engine. Means it not only has its own jobs, but also lists jobs from other websites. It's basically a job meta-search engine, which means it returns results from various job sites according to keyword relevance. It is one of the largest such websites, and you definitely should try it. It uncovers jobs you would never be able to find otherwise from Google or Bing. Monster is a huge job searching website that's been around for some time now. I think it's safe to say it's the largest job searching website in the world, since it serves most of the countries in the world. International search allows you to find jobs outside of your own country. You can also create a 'home page', where you can build your resume to show to your employers. There are various other career tools that will help you in the process. A monster, it is! Try it out first! CareerBuilder is less of a search engine and more of a job posting website. And it is one of the largest. It literally has tonnes of jobs to choose from. 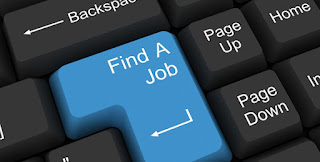 You can find jobs by company, field, industry etc. And there's a huge library of jobs available. It lets you build a resume for yourself as well, which can be viewed on some other sites. Besides, there's a job alert feature that lets you know when a job corresponding to your skills is available. This site should be your priority when looking for a job online. This is one of the most interesting job sites I ever saw. It might not be as big as Monster or CareerBuilder, but it sure has some of the best features available. There are a lot of widgets that provide features like email job alerts, job categorization according to trend research and salary information. It even learns from you by asking what jobs you are interested in. You can also make a resume, research salaries, add jobs to job map, and see detailed profiles of employers, their history and stuff. 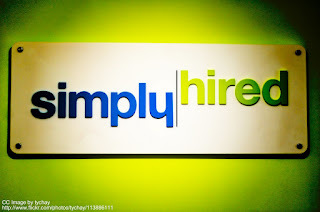 This site is highly recommended for any sort of job seekers. Now here's a treat for the nerds! (jk :P). It is, however, a site dedicated to jobs related to technology. Currently, there are around a 100,000 tech jobs available from which you can choose. And for one particular field, that's not a bad number! These are all good and well paid jobs. A must try if you are a programmer or web developer or into other computer stuff. Most of you might already know about LinkedIn. Not only is it a social networking site where you can connect with people and share your experiences, you can also find jobs on LinkedIn. The fact that it's a social network means there's a lot of interaction between employers and employees. Most importantly, you can connect with other people who already work, or have worked at a certain company you are trying for. As a result, you might get a good reference which could send you right in! LinkedIn offers the best quality jobs. So get started with your profile! Optimize it, professionally, and start using it! Craigslist s similar to Linked. It is an extremely valuable job searching tool. You can find all sorts of jobs here from managing, designing, helping, writing, government, etc. Most employers on Craigslist are popular brands, large or small. So if you are looking for a professional job in a multi-national company, this might be your big break! There are, however, some job postings that are not legit. Such usually come from fake brands. So make sure you do some research on the company before signing up. Now this one is for the students and fresh graduates who don't have a job. Companies usually go to colleges and universities looking for young recruits to hire on entry level. CollegeRecruiter is linked up with more than 11,000 such career opportunity centers. And it doesn't matter whether you are a student or not. This will only get you entry level jobs, however. But for young graduates, this is a good opportunity for them to get a foot-hold and gain some experience under their belts. Imagine working for the richest country, and the largest employer in the world! Yes, that's right! You can now work for U.S.A through this platform! The U.S Government has a dedicated online job database which is accessible by all. You can browse from a lot of jobs. The details for these jobs are openly given, such as salary and other stuff. And the numbers don't look bad! Just give it a shot and you'll know how worth it is once you actually get hired for a job. This is much like any other job site. But the good thing about it is, it also has temporary jobs based on contracts. This might seem unfulfilling and insecure, but a job is a job, and it brings in some money. Freelancers actually have no problem doing this kind of work. But regulars might have to get used to it. There are permanent jobs available as well. good sites I already join some sites. this is my blog which is still in under construction and i want to change it's white background into the yellow or any color. so can u plz tell me how to do this. I need a small help. Please visit my site. How can i short my post. I mean, How can i add ''Read more'' link in my posts. I think you can do that by looking into the code in HEADER section. Just visit the edit HTML of your blog and then search for background. There you can change the color or put an image also. Hope I could explain you. Thanks for the information. I have used some of these, these are cool. This site rocks! Great great infos! It helped my blog a lot in customizing! I will feature you in my post one of these days. Very Nice article and I really enjoy being a freelance programmer. I do all my work over the internet. I use freelancing platforms like http://www.99hours.com/ they have a great escrow payment system and bidding system that is reliable and safe. I must admit, when I first started, it was a little tough, but with sheer determination I’m now an independent programmer and web designer. Of course, these all are well known well reputed online job search portals. Personally I would love to use LinkedIn for job search. I have used Indeed and Monster as well. But I don't know why, these site were no much important for me. LinkedIn is really nice according to my point of view.